I actually think the Braves take a step back this year. Don't think they are are as good (yet) as they looked last year and I do think the Phillies are definitely better and arguably the Nationals got better as well. Things are going to happen before the season is over that's for sure. These days I find beauty as depressing as years beyond my time. The Angels have agreed to a record-shattering contract with superstar outfielder Mike Trout, according to ESPN.com’s Jeff Passan. 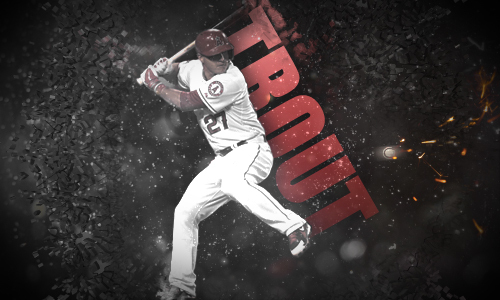 Trout stands to earn more than $430MM over a twelve-year term. It will not include any opt-outs, per Bill Shaikin of the Los Angeles Times (via Twitter). "And the halo shines tonight,"
Trout signing with the Angels is a tragedy. They've wasted seven years of one of the greatest baseball players that has ever lived, making the playoffs a grand total of one time and doing the job 3-0 in the divisional round. What a disaster.